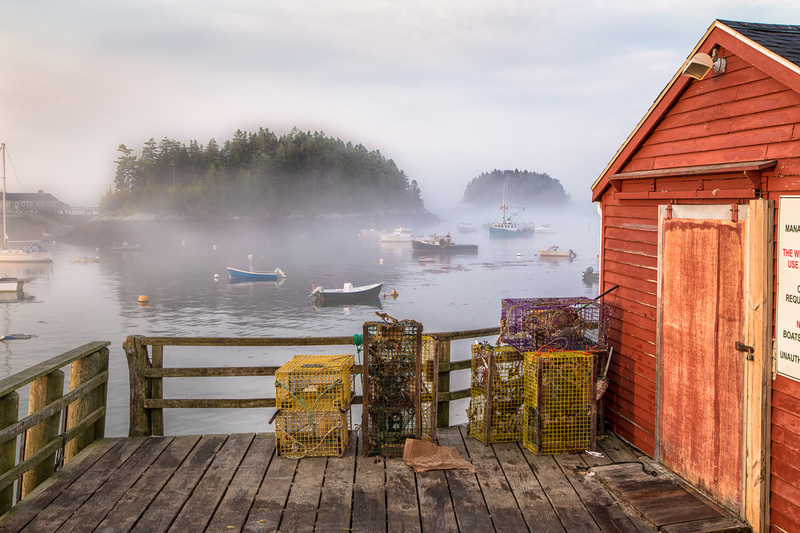 Explore Maine with acclaimed photographer Benjamin Williamson. Ben knows the coast of Maine like no other, and his excitement for photography is contagious. These workshops are designed to maximize learning opportunities and provide whatever guidance individuals need to create the images they want. This is not a photo tour. There will be individual instruction based on your goals and your questions. We photograph from sunrise to sunset on our one-day workshops, and hope to get opportunities for night shoots during our 3-day courses. During classroom sessions, we’ll discuss a range of topics that lead to successful image making and have time for critiques for participants who want it. 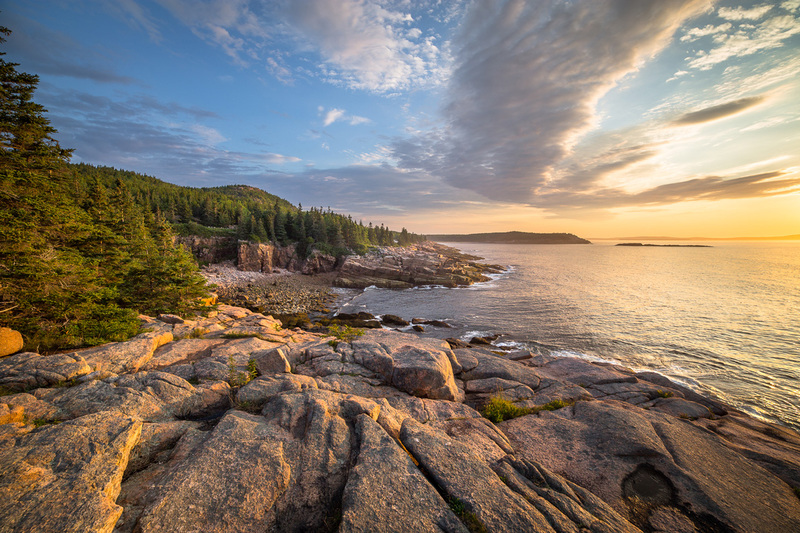 This year’s lineup of trips offers opportunities to explore the many majestic locations along the coastline, from southern Maine to Acadia. Do I need a lot of experience to take this workshop? No. This is a great learning opportunity for beginners as well as seasoned photographers. If you’re a new shooter, you’ll learn all the basics you’ll need to get going. 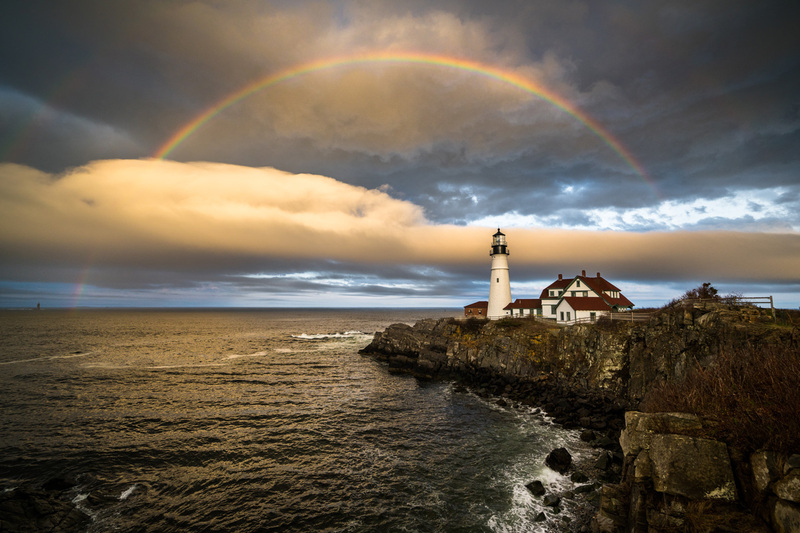 And if you’re a veteran, you’ll get to fine-tune your technique, problem solve, and take your photography up a notch, in some of the most beautiful shooting locations that Maine has to offer. Plus, you’ll get to connect with people who love photography as much as you do! What’s an average day like at a workshop? Workshop days are jam-packed with shoots and classroom time, so you get as much as possible out of the experience. We’ll kick off the workshop with a group dinner. The first day starts 90 minutes before sunrise to allow plenty of travel and setup time in time to catch the best light. After visiting 2-3 shooting locations, we’ll have breakfast together, then start classroom lessons, which involve a short presentation, a review of basic lightroom editing, and an opportunity to look at participants’ work and offer critiques. After classroom time, we’ll have lunch and rest, then head out again for an afternoon shoot that will continue through sunset. Tuition includes all fieldwork, group instruction, individual tutoring, water and snacks. It does not include meals, lodging, transportation, and travel insurance. Each participant is responsible for his or her own transportation. We encourage carpooling — it reduces our environmental impact, and helps at locations with limited parking spaces. If you prefer to drive on your own, you may do so. We will provide a list of suggested accommodations that are close to the location of our morning meetup spot. Because many hotels fill up fast, we recommend that you book your lodging as soon as you register for the workshop. For a good landscape photographer, there is no such thing as bad weather. At this workshop, we’ll learn how to shoot in all conditions! The climate in Maine is constantly in flux, and this presents a wide variety of learning opportunities. In years of leading workshops, and there hasn’t been a single day where we haven’t enjoyed being out shooting — even in the rain. All outdoor activities in New England carry the risk of exposure to ticks. Wear light-colored protective clothing, tuck pant legs into socks, and use bug repellent with DEET or picaradin on skin and clothing. You’ll also want to do daily tick checks each evening. Have more questions? Write to us at [email protected]. Breathtaking images taken by acclaimed photographer Benjamin Williamson have filled the pages of Down East and many of its covers for the past four years, and earned a raft of accolades, including first place in the 2016 Maine Photography Show. In 2018, the U.S. 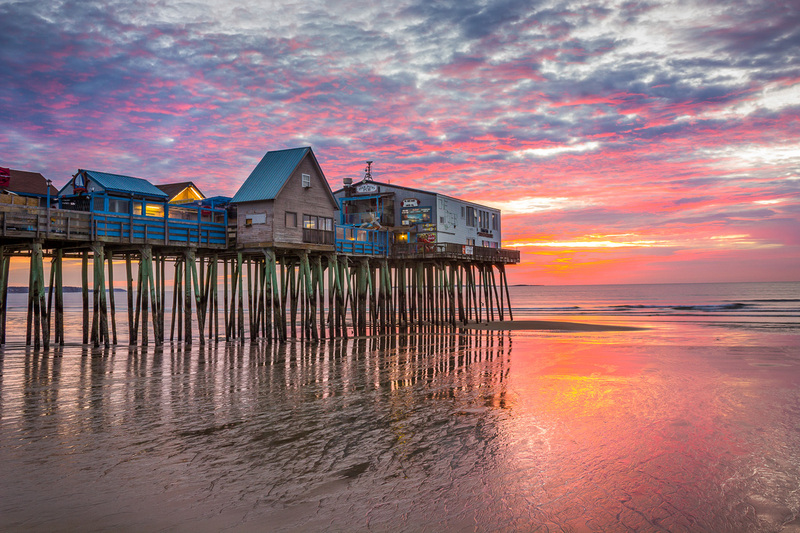 Postal Service chose Ben’s photo of sunrise on the east-facing shore of Bailey Island for its “O Beautiful” series. Ben is largely self-taught — he began taking pictures in 2012 while working nights tending bar. Likes of his iconic New England scenes on Facebook and Instagram quickly became requests for prints, and within two years of picking up a camera, Ben’s photography hobby had evolved into a full-time profession. “When I find something I enjoy, my first instinct is to share it,” says Ben, a native of Vicksburg, Mississippi, who lives in Brunswick with his wife, Kimberly, daughter, Charlotte, and two dogs. Ben’s love of photography — and the beauty that he sees — is infectious. And his desire to share the work he loves is what drives the popular Down East photography workshops. See more of Ben’s photos on the Down East website. 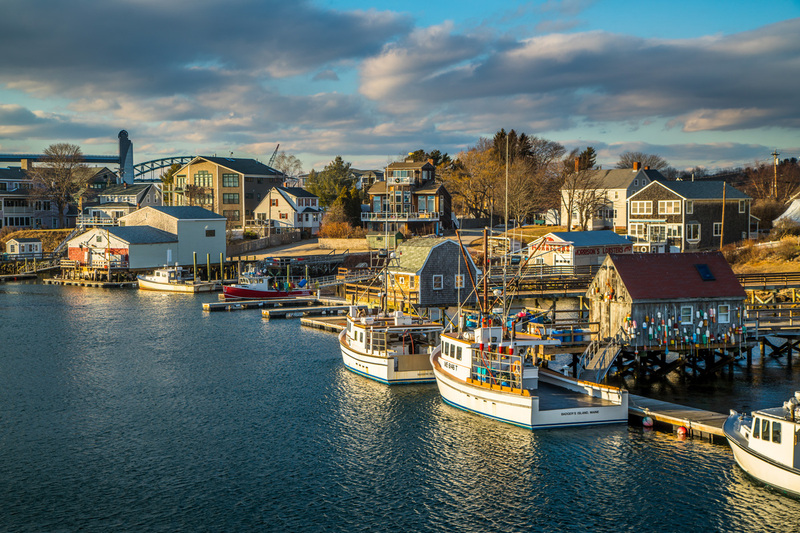 From York to Scarborough, this area encompasses sections of Maine’s classic rocky coast along with photogenic lighthouses, working harbors, historic buildings, and beautiful sand beaches. Ben will determine the best locations on the day of the workshop based on his reading of the weather and conditions. Possible locations include York Village, Nubble Lighthouse, Marginal Way in Ogunquit, Perkins Cove, Cape Porpoise, Old Orchard Beach and Pine Point. The Portland area has won one accolade after another in recent years, and is frequently mentioned as being one of the best places to live in the world. It’s not just the food that has everyone raving, it’s the scenery, as well! In addition to the iconic Portland Head Light and Portland Harbor area, we will take you north to Harpswell. This is a relatively quiet part of the coast that is replete with image making opportunities. Ben will determine the best locations on the day of the workshop based on his reading of the weather and conditions. Possible locations include Portland Head Light, Spring Point Ledge Light, Portland Harbor, Harpswell, Orr’s and Bailey Islands. When we think of what makes Maine special, we think of quiet working harbors and scenic lighthouses on rocky peninsulas. The coast from Pemaquid to Port Clyde encapsulates this mystique perfectly. Ben will determine the best locations on the day of the workshop based on his reading of the weather and conditions. Possible locations include Pemaquid Point Lighthouse, New Harbor, Owls Head Harbor and Lighthouse, Port Clyde, and Marshall Point Lighthouse. Acadia needs no introduction as a world-class location for scenery. We aim to provide a mix of iconic locations along with lesser-known locales for image making. Ben will determine the best locations on the day of the workshop based on his reading of the weather and conditions. Possible locations include Sieur De Mont Springs, Sand Beach, Thunder Hole, Boulder Beach, the Cobblestone Bridge, and Jordan Pond. Ben is incredibly excited to offer this trip for the first time in 2019. 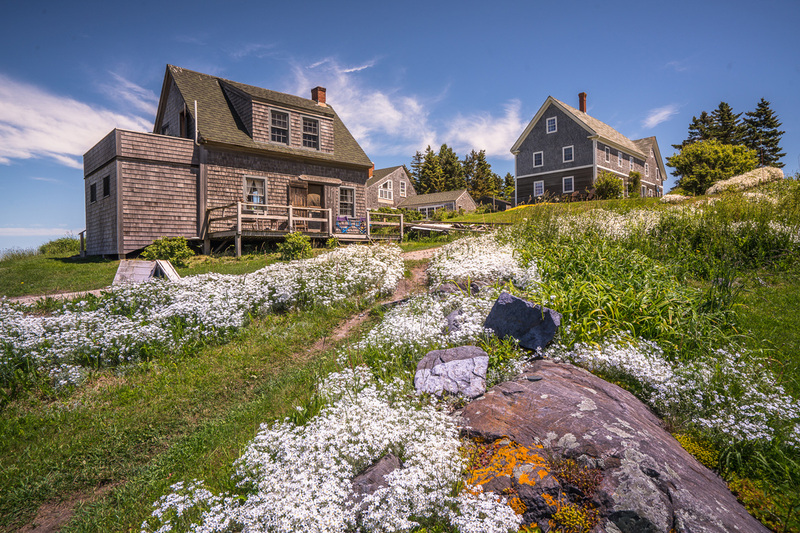 Monhegan Island has been a mecca for artists for over a century. Come and see why. Ben will determine the best locations on the day of the workshop based on his reading of the weather and conditions. 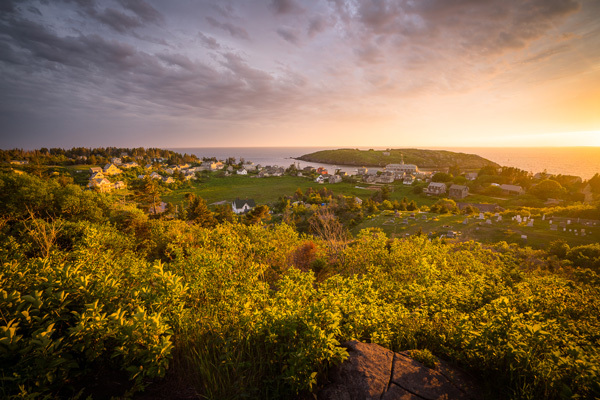 Monhegan is a small island, and the main photographic attractions include the Lighthouse Museum and view from the top, Fish Beach, Swim Beach, the Landing, Lobster Cove, Burnt Head, and Whitehead. When we think of what makes Maine special, we think of quiet working harbors and scenic lighthouses on rocky peninsulas. The coast from Pemaquid to Port Clyde encapsulates this mystique perfectly. Ben will determine the best locations on the day of the workshop based on his reading of the weather and conditions. Possible locations include Harpswell, Orr’s and Bailey Islands, Popham Beach, Five Islands, Pemaquid Point Lighthouse, New Harbor, Port Clyde, Marshall Point Lighthouse, Owls Head, Rockland, Rockport, and Camden Harbors. 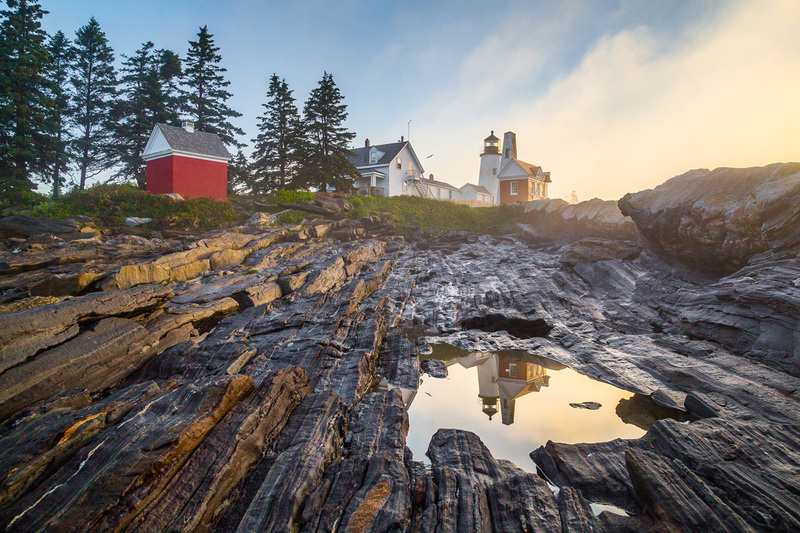 From York to Scarborough, this area encompasses sections of Maine’s classic rocky coast along with photogenic lighthouses, working harbors, historic buildings, and beautiful sand beaches. Ben will determine the best locations on the day of the workshop based on his reading of the weather and conditions. Possible include Nubble Lighthouse, Marginal Way Ogunquit, Perkins Cove, Kennebunkport, Cape Porpoise, Biddeford Pool, Old Orchard Beach, Kettle Cove, Two Lights, Portland Head Light, and Spring Point Ledge Lighthouse. 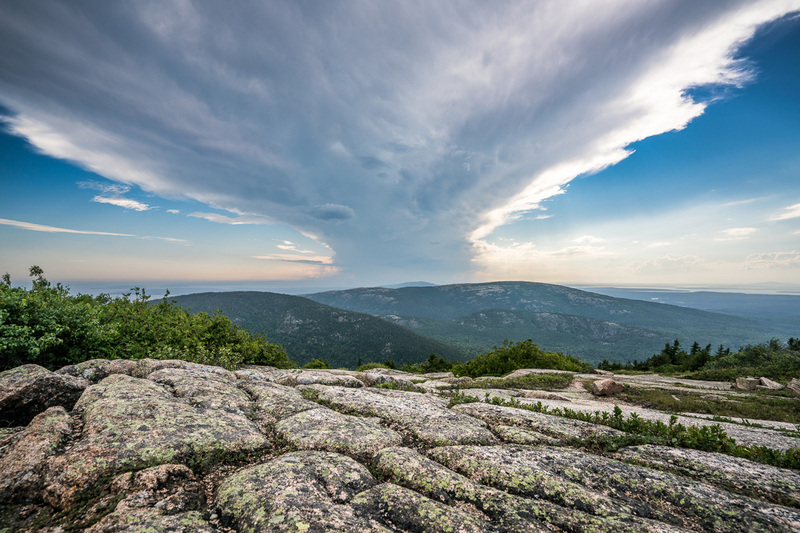 Acadia needs no introduction as a world-class location for scenery. We aim to provide a mix of iconic locations along with lesser-known locales for image making. Ben will determine the best locations on the day of the workshop based on his reading of the weather and conditions. Possible locations include Cadillac Mountain, Sieur De Mont Springs, the Cobblestone Bridge, Sand Beach, Thunder Hole, Monument Cove, Boulder Beach, Otter Cliffs, Hunters Head, Jordan Pond, Asticou Azalea Garden, Somesville Bridge, Bass Harbor Head Lighthouse, and Schoodic Point. Excellent trip. Bill and Thea of Maine Sports were perfect for our group. It was more challenging than I expected but that was great. Food and accomodations were just right.